We focus on the cannabis sector and have been publishing detailed analysis on everything cannabis-related. Our investment process starts with reading filings and includes analyzing all facets of the company and the market to reach a final conclusion. We are value-oriented investors and believe in the importance of both deep industry knowledge and fundamental analysis. We will continue to provide timely and unbiased analysis of the burgeoning cannabis sector in the new year. We focus exclusively on the global cannabis sector, including companies operating along the entire cannabis value chain. Besides companies that directly produce and sell cannabis, we also analyze ancillary businesses that participate in the cannabis sector in various ways, including research, supplies, outsourcing services, real estate, e-commerce, etc. We focus on both large-cap and small-/mid-cap equities globally with a primary focus on Canadian and U.S. equities due to the current landscape of the cannabis sector. We are a value-oriented investor and focus on identifying cannabis companies with attractive fundamentals while operating in sub-sectors that have positive outlooks. Read all public information (filings, investor presentations, news) on the company to soak in everything that is available about it. 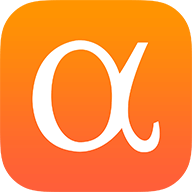 We also review existing articles on Seeking Alpha for insights if available. Identify the type of business and the sub-sector that the company operates in. We break stocks into four buckets: U.S. cannabis operator, Canadian cannabis operator, international operators, and ancillary plays. Spread key metrics of the company with a focus on financials (revenue, margins, cash flows, cash, debt) and operations (management, stores, cultivation, capacities, products, and international operations). Assess valuations and benchmarking against other competitors. We look at where companies are trading relative to their fundamentals and competitive profiles to assess relative attractiveness of the stock as an investment. We benchmark companies within their own bucket as discussed in #2 above. For example, Canadian cannabis companies should be compared against other Canadian firms due to the unique regulatory and operating environment in Canada. Finally, ancillary plays should not be compared with cultivators or retailers. We also focus primarily on EV / revenues as the valuation metric due to the fact that most cannabis companies do not have positive EBITDA or earnings at this stage. The last step of the process is that we will look for the company's trading pattern and identify any trading patterns. If there are sudden increases in the share price or big drops, we will look into the events behind these big price movements and try to sniff out any missing pieces in our analysis. Our overall research approach is one that integrates all of the above analysis. More importantly, we continue to monitor developments of all the stocks that we follow and cover on Seeking Alpha. We are constantly looking for new information to update our analysis, including new developments out of the company or movements in the industry or the stock market. When we begin our research, we are not focused on being either long or short specifically. As we absorb all the information related to the company and conduct our analysis as laid out in this article, we will gradually come to a conclusion whether the stock is a good investment based on the current share price. The current cannabis sector remains a nascent one, which means that most of the companies remain inevitably in the early days of executing their business plans. Most of the stocks we analyze lack sound fundamentals and management track record, which resulted in our cautious stance towards a bigger portion of the stocks we cover. Our recommendation on a particular stock also changes over time as circumstances change. We strongly believe that as the industry matures, the quality of the entire sector and the available investment options will also improve for investors. Weekly Cannabis Report - Recap the biggest news and trading of the cannabis sector to keep investors updated. An example is here. Earnings Review - Review the latest earnings release and provide an update on the latest developments for our 60+ coverage list. Look for an example of our earnings analysis here. Industry Analysis - Discuss the most important topics in the industry, including regulatory changes, bubbles in the market, legalization progress in the U.S. and Canada. Examples of our work are here. Initiating Coverage - We constantly initiate new coverage of cannabis stocks as we continuously expand our services. We now cover a vast majority of the cannabis stocks. Look at some examples here. Understand the industry first - Many retail investors try to jump into the cannabis sector by investing in the first one or two cannabis stocks they hear about. However, there are so many intricacies within the sector and investors need to understand the differences such as Canadian vs. U.S. markets, licensed producers vs. ancillary plays. Understand the cycles - The cannabis sector has gone through a few boom and bust cycles, and investors need to understand the market cycles in order to protect themselves. The market experienced a huge rally at the end of 2017 but entered a period of six-month selloff shortly after. Similarly, the market went into another round of frenetic trading when Constellation (STZ) announced a $4 billion investment into Canopy (OTC:CGC). We analyze these cycles and strive to provide timely analysis to investors. We have developed deep expertise in the cannabis sector and believe it represents a once-in-a-decade opportunity for investors to participate in the billion-dollar industry from the beginning. We are value-oriented investors and believe in the importance of both deep industry knowledge and fundamental analysis. We will continue to provide timely and unbiased analysis of the burgeoning cannabis sector in the new year.